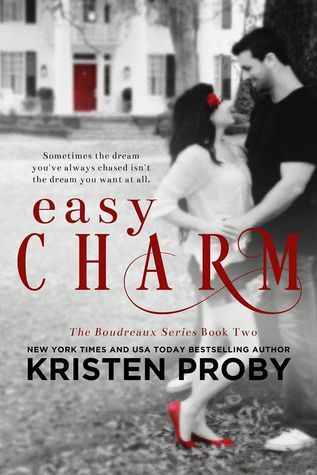 This second book in her Bourdreaux Series is just as amazing as her other works. I have read most (If not all, and I do believe ALL) of her books and I am amazed at how much I love the stories because they are not all the same, even though the men do strive for the same. It’s just that she portrays their journey to getting it and depending on who it is, then their journey will change as well. I love how she always puts an end to her characters in a way that will leave you knowing the whole story, and not have so much left to the imagination or the reader. When you reach the end of one of her books you will feel like it was the end, that couple will definitely live happily ever after even if the fight, disagree of if life throws them a curve ball. After that you will also start to want to have another one of her books, because one, was just not enough. I can’t wait for another Kristen Proby Romance to be released, in the mean time; I might re-read some of my favorites. Gaby and Rhys are amazing together and I love that to us, the ones that read all that she has released he can be tied back to the With me in Seattle series and one of my favorite couples, from “Tied with Me”, Nic and Matt. While also staying completely true to the new readers by not making that tie completely dependent of one another. In this work I love the way this particular family sticks together, trough good and bad. Yes, sometimes they go a bit overboard, but that’s what happens when you have big brothers who love you (Right?) and want to keep you safe. Without further ado y’all, here is the link to the amazon web page. I do hope you give her work a try, I think it’s amazing, feel good romance. I will be back soon with another review. If you want to keep in touch and tell me about what you have been reading, you can join the Goodreads question. Also Like and Share the Facebook page to Enter the Giveaway (and keep up with whats new and what will be posted soon) of E.L James new book: Grey: Fifty Shades of Grey as Told by Christian. You can also listen to those reviews on the Spreaker App right Here. Previous Previous post: July TBR First Impressions.